Quoizel Lighting Tiffany Collection Flush mount fixture has a power rating of 150-Watts and voltage rating of 120-Volts. It has medium socket to accommodate two 75-Watt A19 incandescent lamps for lighting. 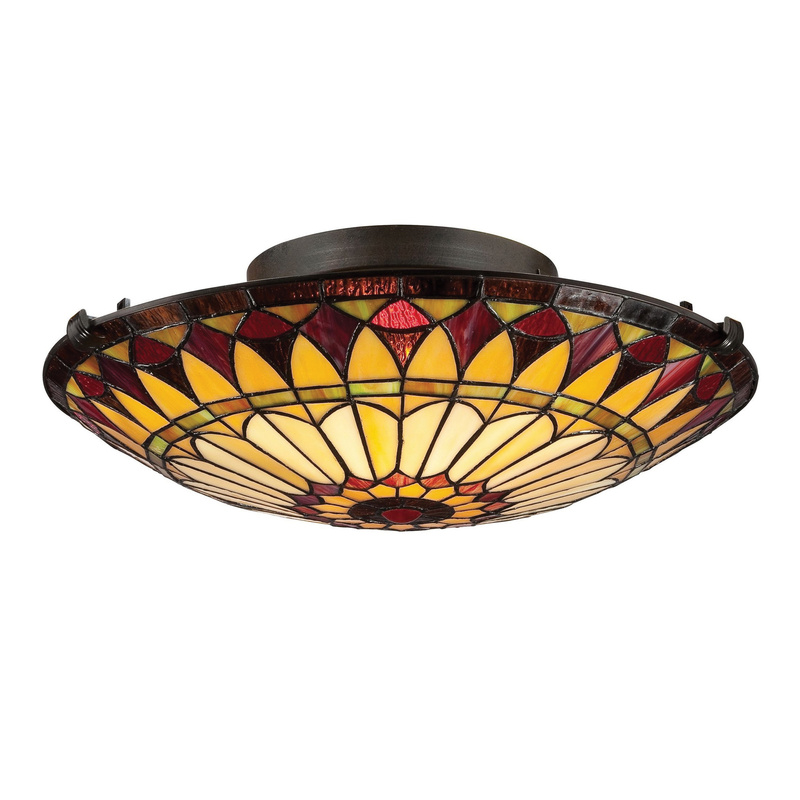 The fixture incorporates tiffany glass shade for uniform distribution of light. The traditional style fixture in vintage bronze finish, has steel construction for corrosion resistance and durability. It has 7-Inch x 7-Inch base backplate. It is suitable for damp locations.